An important part in planning any journey or trek is curating a packing list. 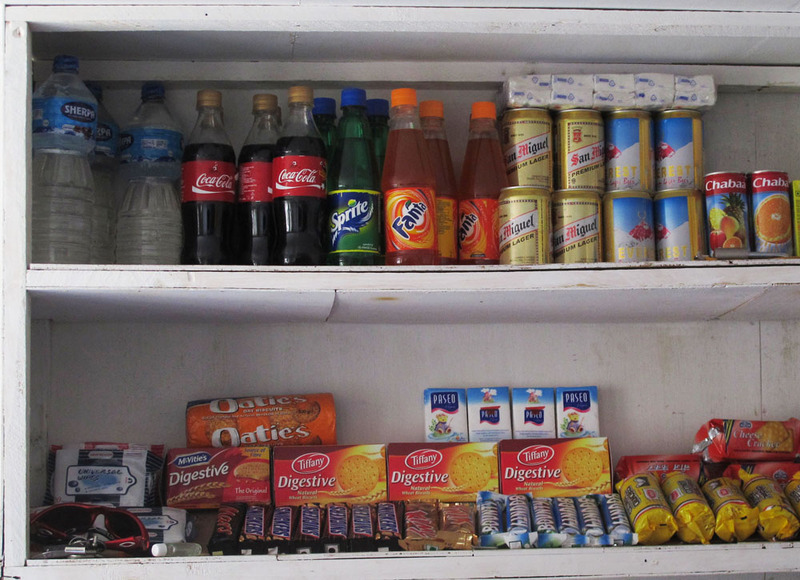 For a Himalayan trek, this packing list can get pretty specific. Not only will it deviate from what’s needed for typical travel, but it may also deviate from what’s needed for typical trekking due to the unique setting. In addition to standard items which seem imperative, such as boots and pants, there are some unexpected items that will help keep you healthy and happy on the trail. I wish I’d known that some of these items would be so important before heading out on a trek to Everest Base Camp last year. Some of these needs I learned the hard way – some of these items I brought, and were deemed priceless. When you spend most of your day hiking in high altitudes and extreme conditions, you are going to need a lot of water. Most people recommend that you drink 4 liters of water each day of your journey and bring reusable water bottles that be filled with either bottled or local water. Not only is buying bottled water detrimental to the environment, but doing it every day will end up costing you excessive amounts of money. 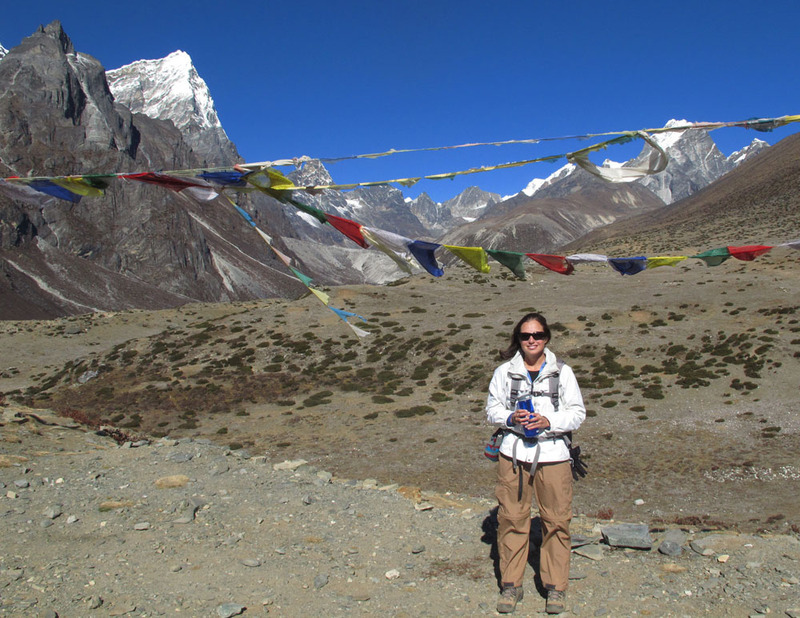 Specifically in the Everest region, one liter of water will range from $2 to $4. A simple UV water filter will allow you to use the tap water and render it 100% safe with an easy flick of a wand. Recommended: The SteriPEN Classic Water Filter (USD $70, http://www.steripen.com/classic-filter). As most villages in the Himalayas are not fitted with streetlamps, you will need some kind of flashlight to get around at nighttime. For this reason, any kind of flashlight would do, however a headlamp is particularly convenient if you find yourself hiking the trails in the dark or on late night runs to the bathroom. Any model of headlamp will work fine, but be sure to pack a backup set of batteries. It will be hard to find running water in some teahouses in the mountains, though you might get lucky in the lower altitude villages. When there’s no water to clean your dirty paws before dinner, an alcohol-based hand sanitizer is a must. You really don’t want to fall ill on the trail, especially when walking is the only way to get around. 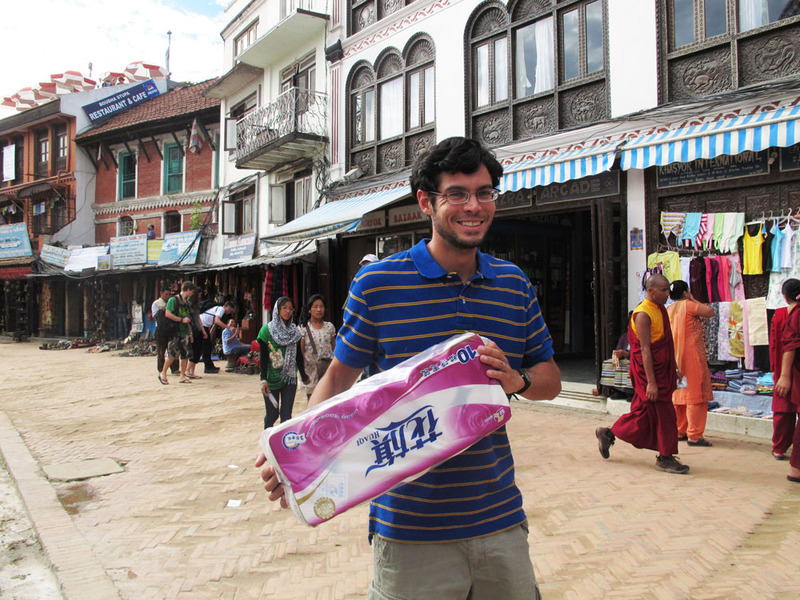 You can pick this up in most hub cities like Kathmandu or Pokhara, so there’s no need to bring it from home. After days and days of hiking and sweating and sleeping in your trekking clothes, you will appreciate the feeling of a clean set when you are on your way back down from accomplishing your goal. Maybe it’s not a full set of clothes (if you don’t have a porter, you will not want to carry too much extra weight), but a few undergarments and some socks will serve as a nice reward. This was such a blessing during my own trek – it made all the difference in my mood on Day 14. You won’t want to be walking around the teahouses at night without shoes on, but you also are going to want to give your feet a break from your hikers when you aren’t on the trail. An extra pair of shoes for nighttime will be highly beneficial both physically and mentally. Even something as simple as flip flops can help rest your feet. Toilet paper is like gold bullion on a Himalayan trek. Seriously. Your trip will be all the more comfortable if you pack a plethora of this biodegradable necessity. Not only will you need it mostly for its intended purpose, but it will be paramount in a few other situations. With high altitude trekking comes the risk of a developing a head cold. Nose-blowing will require either a lot of handkerchiefs or tissue. Enter toilet paper. When you need to clean your hands before a meal or before bedtime, toilet paper can also be used as a napkin. The most important rule in planning ahead on toilet paper is to bring double the amount you think you’ll need since you’ll probably going to end up needing double. And it gets rather expensive to buy more in remote villages. Unless you are an experienced and confident trekker, you’ll most likely be heading into the Himalayas with guides and porters. One of the key ways they make their money is by your generous tips. The number of people you’ll be tipping will fluctuate depending on the size of your group, so make sure to inquire what your number will be before you leave on the hike. Some porters and guides will not accompany you back to your hub city, so don’t count on using the ATM after the hike is over. You won’t want to risk offending anyone if you don’t have enough to go around, so make sure to pack more than you anticipate you’ll need. 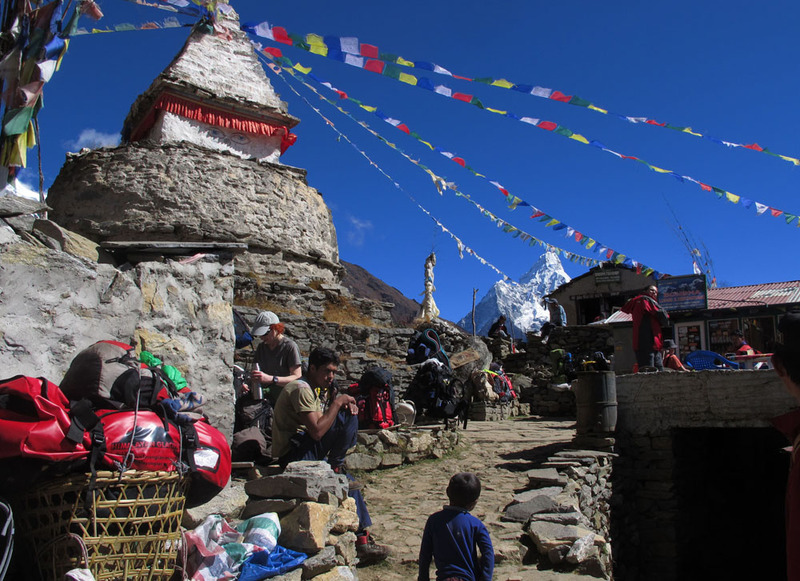 Also take into consideration the possible need to purchase supplies or the desire to buy goods at the larger trading hubs like Namche Bazaar in the Everest region. One of my favorite souvenirs I’ve ever purchased was bought at a trading post in Namche. Delicious food is a great motivator, and luckily, meals on the trail are quite good. The cooks at the teahouses serve excellent Nepali and Tibetan favorites such as Dal Bhat, Momos, Thugpa, and Tarkari. However, on a trail break or when you crave a bedtime snack, it is good to have something to eat in your bag. Some of the teahouses stock up on treats like soda, Snickers, and Pringles, but if you have a favorite that particularly motivates you when the road gets tough, just bring it along. I packed some Oreos and fruit juices to help keep me motivated on the trail and it certainly came in handy on tough days.